If it's anything like mine, it's probably terrible. I forget things all the time, which is why I rely on tools like Evernote to capture day-to-day information that I want to reference and use later on. Evernote markets itself as a digital tool that, like an elephant, remembers everything. The basic version of Evernote is free while the premium version costs EUR 5 per month or EUR 40 per annum. The latter package provides advanced collaboration and sharing features along with offline access to notebooks on mobile devices. 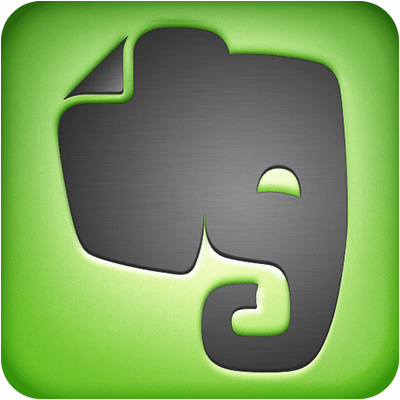 I've had an Evernote account for several years but until recently, I struggled to get the most out of this service. After a bit of investigation, I figured out how to use this powerful digital tool and improve my memory. Evernote is free and anyone can use it, even cash-strapped students. Evernote is geared towards the capturing and sharing of images. The lecturer added extra articles and images to the notebook as the classes progressed, thereby making our class notes dynamic and relevant. I'm no chef but this is my primary use for Evernote and the developers really push this feature. Being able to capture pictures, recipes and ingredients for meals means that I can cut down on cooking book expenses. It also means I spend less time browsing recipe sites and flicking through old cookbooks. This aspect of Evernote is particularly useful on a tablet. Now, if only they could do something about the grease stains on my touchscreen. I've tried to eliminate as much paper from my house as possible and I've signed up to electronic billing for a number of services. There are some documents that I need to keep paper copies of (e.g. birth certificates, diplomas). I scanned these documents into Evernote so that I have digital backups of said documents. Lots of Evernote fans store digital receipts in their notebooks. There's a plugin for Gmail that allows users to send important emails to Evernote but I find it just as convenient to label and file these within Gmail. I occasionally write lengthy articles that reference lots of research and technical data. Rather than browsing the web throughout my working day (a terrible way to work), I create a notebook for the article I'm working on. In one mega browsing session, I capture important webpages and articles and save them directly into this Evernote notebook. This way, I can work offline and quickly review my notes at the end of the day. Several years ago Evernote acquired Skitch. This is a simple-to-use tool for capturing and annotating images and it integrates with Evernote. Skitch is more feature rich that the built-in screen capturing tools included with Windows and OS X. Recently, a client asked me for support for a web application. Using Skitch, I took and annotated screenshots and wrote step-by-step instructions for the client. I also saved these instructions within Evernote for future reference. I spend a lot of time creating images within Photoshop and Illustrator. Up until recently, I kept a copy of links to my favourite images in a simple text document. Now, I capture these images directly into Evernote and tag them as “image ideas”. The simple act of capturing these images sparks ideas about what I'd like to create next. Business cards are a staple of networking events. I was never quite sure what to do with these cards, and I dislike clogging my phone with random contacts. Invariably, I bin these cards after a few months but it's a terrible thing to lose a contact. Now, I snap business cards with my iPhone and upload them to Evernote. This way, I never lose a contact. I've written extensively about my preferred GTD system. Don't listen to me though. Lots of GTD-ers use Evernote as their tool of choice. The Secret Weapon explains exactly how to set up Evernote for this popular productivity system. This manifesto is a creative and clever use for Evernote. Two years ago I organised a holiday and saved all the documentation about this holiday into an Evernote notebook. I haven't done this since but, at the time, I was pretty pleased with how the holiday turned out. We made it there and back, at least. Although I use Evernote regularly, I have some issues with this service. It loads slowly on my iPhone 4 and it is overkill for capturing shorter notes quickly. I also haven't paid for premium access, which means I can't access my notes offline. It's faster and more convenient to use plain text files and apps like Simplenote to capture ideas. That's not a criticism of Evernote itself (perhaps I'm cheap!) but it is possible to use other free services to manage a database of notes. In other words, I like Evernote but I don't use it for everything. Please let me know about your favourite Evernote tips and tricks in the comments section below or connect on Facebook. page! I personallywill probably wind up being back significantly more often. Thanks for the tips. I’ll have to look in to evernote. I’ve also wondered what to do with all those business cards I’ve collected over the years. Paperless is the future (to a point). I’m glad you found this post helpful. Great comment about business cards! I am really in to business cards. I have been thinking about how cool it would be to have an app or something to organize business cards from people I meed, I totally did not realize that I could just save it on ever note. Glad you enjoyed the tip. Evernote is a useful app. Good post. Like you I rely totally on Evernote as my memory. I also have a really good filtering system that starts with Feedly,goes to Pocket and then the best clips or notes are kept permanently in Evernote. Pocket is great. I use it every day. Like you I save my favourite articles from Pocket into Evernote. I must inhabit a different planet… I was at least half way through the list before I got an inkling about what ‘Evernote’ is. I was still baffled by all the jargon and ‘geekspeak’. Never mind, I’ll have to manage without it. I’ll concentrate on the important bit… actually writing. Thanks a lot for all the tricks you shared. I am very much into Image Ideas and editing. Your article will hopefully prove helpful for me in terms of Image Ideas. Wow!…..thanks for such an extensive and informative webpage with a plethora of information for writers. You got me taking notes and excited to move forward with my current writing project. Cheerful you enjoy the tip. it is a useful app.very useful if okay, then please post it, thanks.